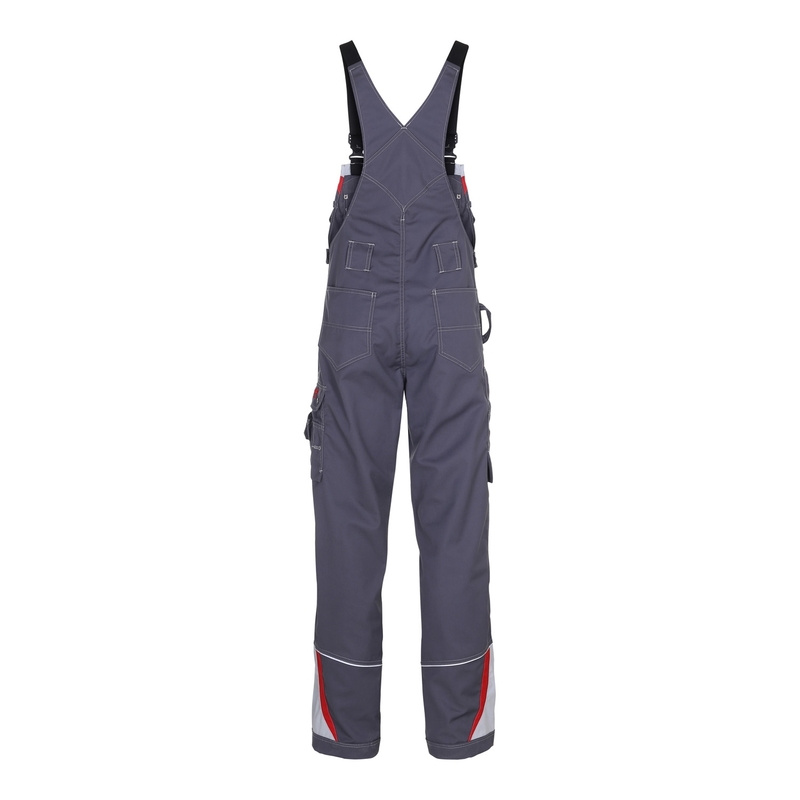 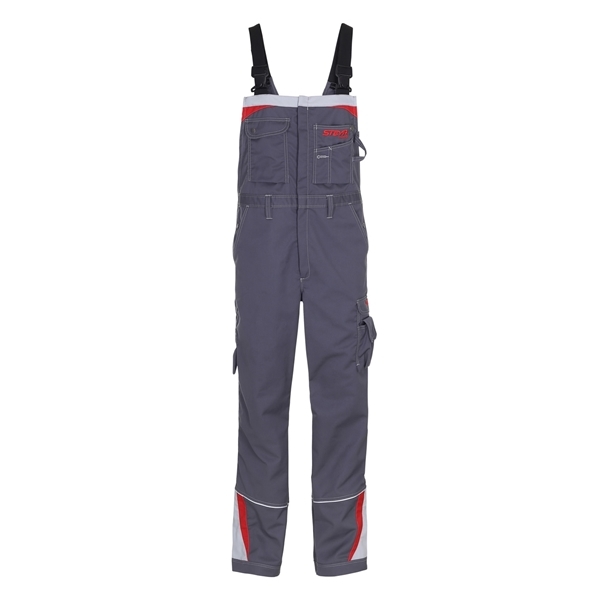 High-quality, with metal composition, black/silver. 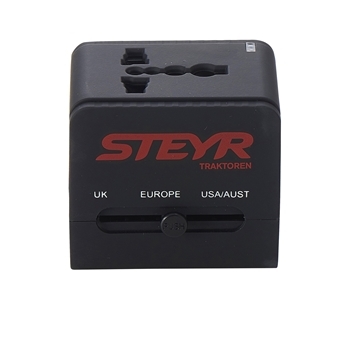 Valid for UK, Europe, USA/AUST, 2 additional USB connections for charging two devices, printed Steyr logo. 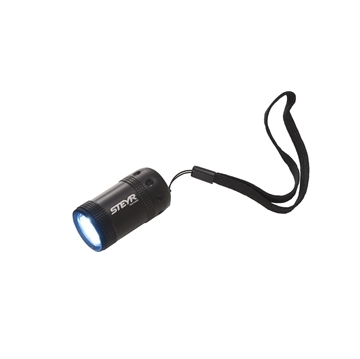 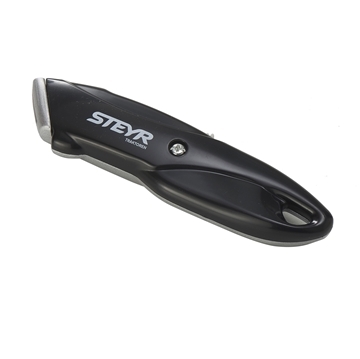 Black, 6 LEDs, Steyr logo printed in white, batteries included.